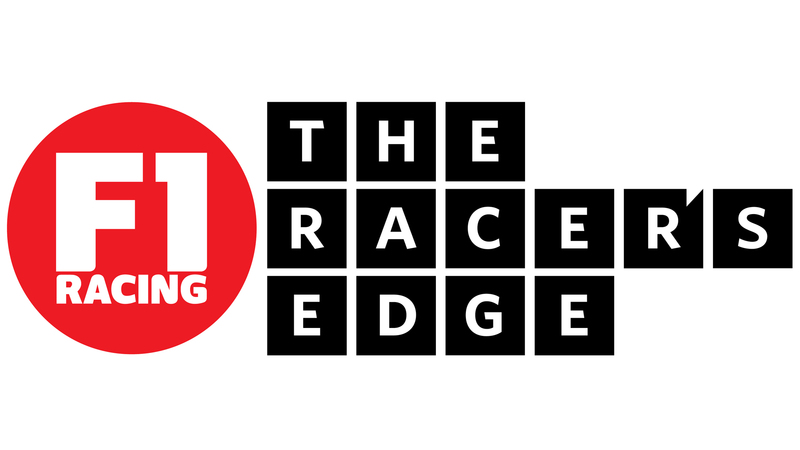 Welcome to The Racer’s Edge – your weekly, live, F1 chat show brought to you in association with F1 Racing magazine. You can watch it either here or on our host YouTube channel (www.youtube.com/peterwindsor); on both locations you will find a countdown to the next live show and on the YT channel you will in addition be able to watch previous episodes on-demand. Here we will be featuring comments and updates from some of the show’s regular guests, including Craig Scarborough, Rob Wilson, Enrique Scalabroni and the journalists at F1 Racing. The show will be based from May onwards at a new studio at Haymarket Publishing in Teddington but we’ll be on-the-road, too, starting Wednesday, March 13, when we’ll be broadcasting to you live (on YouTube) from the offices of the Australian Grand Prix Corporation in Melbourne, Australia. A week later we’ll be live from Malaysia. Already the season is looking mouthwateringly close. You may like to take a look at the latest edition of F1 Racing for your full guide to the season; it’s a big read, so give it some space. At some point you may come across the preview feature I wrote (before the recent tests started in Jerez and Barcelona). Twelve months ago I opted for Fernando Alonso to win the championship, so, this year – rather than stating the obvious (which is that both Fernando and Sebastian Vettel naturally have great chances to win) – I’ve gone for the new Mercedes driver, Lewis Hamilton. I know many people are expecting him to be ultra-quick in 2014, when the new engine regulations come into play, but I think he’s also in great shape this year, too. I could be wrong, of course – I was last year, by a point or seven! – but there you are. My column in F1 Racing this month is about how certain races – the Australian and French Grands Prix, to give but two examples – belong on the F1 calendar – and in the next edition of the magazine I’ll be analysing the driving styles of the 2013 F1 drivers and why some of them – but not all – will be well-placed to take advantage of this year’s Pirelli tyres. I hope you enjoy the new show. You’ll be able to post live comments on Twitter (#trelive) and send in questions to our Facebook wall (www.facebook.com/theracersedgetv). 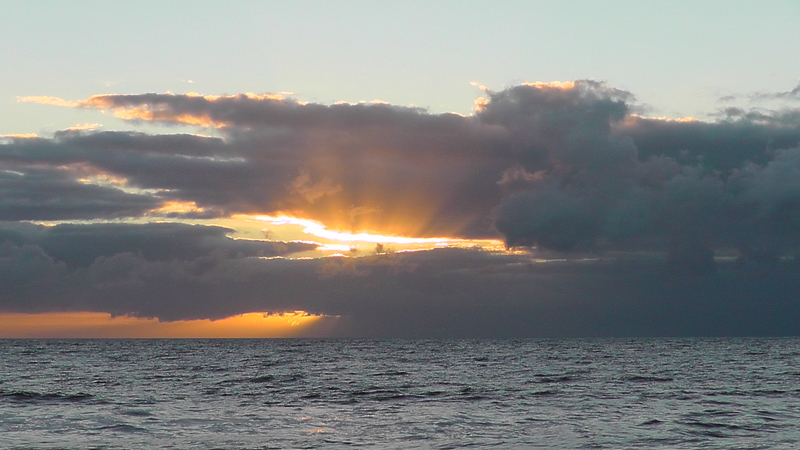 For now, I hope I make you all envious with a shot I took this morning from Newport Beach, Sydney. Call it “dawn of the new season”. Looking forward to your take on the season as the racing progresses. My early prediction is for Kimi to take the Championship. Thanks Jimmy. Yes, no doubt that Kimi will win more races in 2013. My feeling – and I may be wrong – is that Merc will be able to out-spend Lotus F1 by about 40 per cent; and, on top of that, as I said in my article, I think the Merc engine will start to play a significant role in 2013, when many teams will have more or less the same downforce for drag. The driving styles of both Kimi and Lewis lend themselves to minimising tyre deg-for-pace. Can’t wait Peter. TFL was incredibly good viewing. Thanks. Yes, Williams looking very good. Both drivers will maximise the Pirellis. Pastor fan that I am, I believe Valtteri is extra-special. Can’t wait to see his debut race in Melbourne. Peter, I’m a huge fan and wish you the very best of luck! Looking forward to Alonso taking the title at the end of what will hopefully be an exciting season. I’m just curious how you chose the name “the racer’s edge”. We’re you aware that “The Racer’s Edge” was the name of a ficticious underground illegal street racing gang in the classic episode of “Knight Rider” titled “Knights of The Fast Lane”? Look for some serious team dueling between Hamilton and Rosberg. Both racers will push the Mercedes machines and each other to the limits. Let’s see if the car can keep up with the drivers. I agree with you there, Lewis may pull a surprise. Even if he isnt on pole at Melbourne, its a long season and hes fired up for it. Looking forward to this Peter.I really enjoy your column in F1 Racing Magazine too.Mercedes looked the class of the field in testing…bring on Melbourne!I hope Jenson has a better year. Looking forward to it. re the new season, regardless of who might have been playing mind games with fuel levels in the Barcelona test, the fact is that the best times were way quicker than last year’s actual qually best. So given more restricted rules this year, maybe you/Scarbs can explain where the extra speed comes from? You made it even more exciting for me. Can’t wait to the season, the latest F1 Racing issue, as well as the The Racers’ Edge broadcast. Presumably 2013 will be very exciting and tight so bring it on! Hi Peter – “much stickier tyres” is the answer. Softer compounds, stiffer shoulders, more flexible sidewalls. The teams wanted more degradation to ensure that each race is a minimum of two stops. Looks as though they’ve got it, although it’s still early days, of course. Yes, I once asked Ayrton about his throttle application. He just said that he’d been driving that way all his life. Yes – it’ll be interesting to see how matey they remain! Hi Emilio – I was not aware of that. Thanks for letting me know. I think… Seriously, it’s also the name of my column in F1 Racing magazine. Beyond that, “The Razor’s Edge”, by W Somerset Maugham, is one of my favourite novels. REALLY looking forward to the new show Peter! Thanks for all you do. Your analysis of the present and the stories of times past are great fun. Should be another interesting year to follow. Looking forward to the new show Peter. Will it be available on iTunes? Thanks – and good question. Yes, it will; but we’re working right now on the file size etc. It is a huge issue, as you can imagine, because of bandwidth, etc. We’ll keep you posted. Have fun in the sun Peter……..Jack gives the impression he is about to board something very special.! Vettel for me again this year. Sad about Sir Frank’s wife. Hi Peter – Thank goodness we have made it through another off season. Can’t wait for the season to begin. Enjoyed an F1 preview last night on NBCSports with Leigh, David and Steve. Looking forward to all of your contributions in print and electronically. Thank you!!! Also my sincere condolences to Sir Frank and his family on the loss of Lady Ginny. In what I have read about her, she was an extraordinary woman. As a dedicated listener of your previous shows and one who is aware of bandwidth considerations, I would love to see an iTunes audio only version. Thanks and keep up the great work! With your 2012 show, most of the time I was a podcast listener as opposed to catching the video broadcast. Is there any possibility of either an audio podcast from you this year, or perhaps audio only versions of some of your new show, please? Hi Peter! watching your first episode live as i did in tfl congrats! and thank you for letting us inn the f1 world we all love. Thanks – a few teething troubles but we should be fine from here on in. We will be publishing a link to an audio download – twitter and facebook page will carry the details. Hi Peter – best place is Twitter, using the hashtag: #trelive. Prior to the show, our Facebook wall should be fine. GPTV I think will be in Singapore, too. Great bunch of people and long, extensive shows – about 12 hours of wall-to-wall TV for four days. Enjoyed reading your ’69 Warwick Farm report while I was waiting for Chris Amon to ring yesterday! Yes – we’ll be posting audio download links asap. She was indeed. Thanks for writing. this is great news that it will be available on iTunes in an audio only version. Is this show the replacement of TFL or will it supplement it? I hope the audio quality will be better than that of TFL. The content was always superb. Will they be available through iTunes? That would be most welcome. We’re working on a new upload server at present. Will keep you posted! Hi Peter, really enjoyed watching the first TRE on you tube. Looking forward to the 2nd edition and the others to follow . Will you be able to put this out as a Podcast as well? No wonder a team needs no less than 200 million to be a contender. So money being no object, when will Red Bull introduce robotic wheel changers, they might reduce pit stop times to 1.5 seconds. Better yet, how about a moving robot that would pick up the car up at the entrance of pit lane and drop it off with new tires at the pitlane exit. With no humans in harms way, they could raise the pit lane speed limit to 125 mph. Rest assured, F1 will continue to loose viewers and fans if the madness persist. Well, I’ve never liked the concept of forced pit stops in the first place. I like my racing pure and simple. If we ARE going to mandate stops, however, I think it’s critical that each gun-man is given the time to “clear his corner”, as I said on yesterday’s show. What is experience for if it isn’t for learning? Robots that pick the car up at pit entrance, service it, and drop it off at pit exit,…. I LOVE it !!! Make everyone use the same robot, and the race will once again be up to the driver, not some pit jockey. I say give them 2000hp and no traction control. Have variable aerodynamics, but with a downforce limit. Have variable hydraulic suspension (how cool is that going to be in future cars,… leaning into the corner so you can sit up straight).